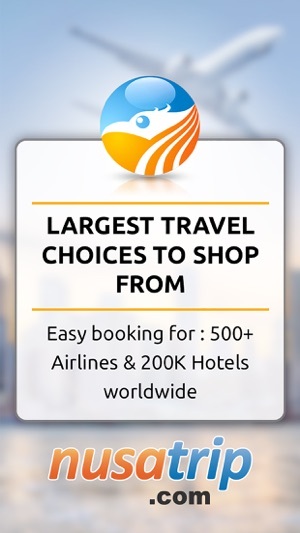 * NusaTrip.com offers a large selection of global and domestic airfares in South East Asia as well as a variety of Hotels and Villas accommodation. 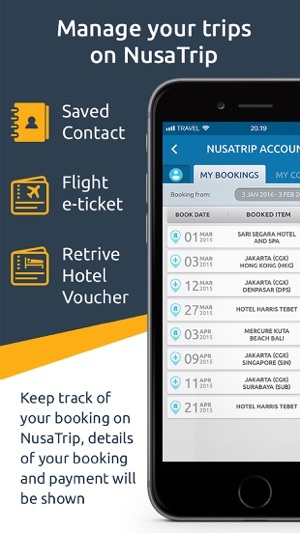 * Time-saving and easy to use Booking Search Engine: Combining advanced technology with up-to-date travel expertise, NusaTrip app allows travelers to search and book thousands of airline fares and only offer the best deals. * Best prices for more than 500 airlines for domestic and international flights, some of the best fare for South East Asia (Indonesia, Malaysia, Singapore, Thailand, Philippines, Vietnam, Myanmar, Cambodia, Laos, Brunei, East Timor). * 200,000 hotels in more than 10,000 destinations at very competitive prices. 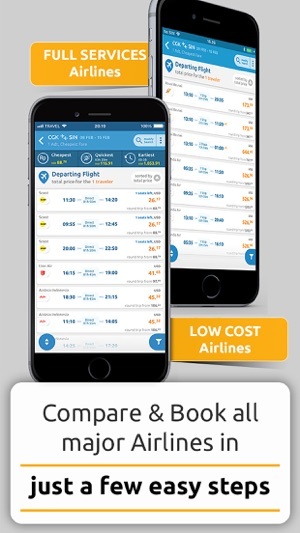 * Travelers can compare flight ticket prices from an easy simple-to-use interface, economy and business class from Low-cost Budget Airlines as well as Full-service carriers around the world. * Travelers are given the freedom to plan their own itinerary. They can choose different airlines to suit their personal needs. * Our system is always updated so that users are always aware of what are the various options they have to fly. 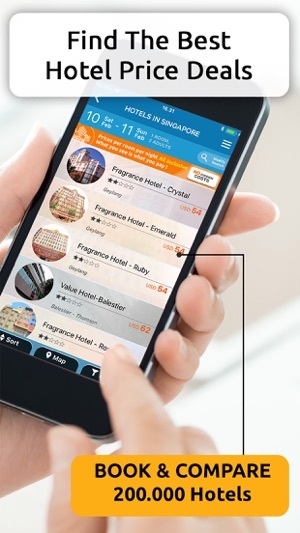 * Book Hotels, Apartments, Villas ... anywhere in the world at great rates. * Choose from over 200,000 different properties, pick your room type, check pictures and map to find the best room for you. * NusaTrip.com makes an effort to display the "All Inclusive" prices. There are no hidden taxes or fees. The prices you see are the net, fully loaded prices. You will not see any hidden cost on the next screen, what you see is what you pay. * Payment is easy and simple as NusaTrip.com accepts all popular payment methods. These include Credit Cards from any country (with security from Verified by Visa and MasterCard SecureCode, J-secure, Amex Secure key), for Indonesia we offer Online Banking, ATM & Transfer (ATM Bersama & ATM PRIMA network which connects 90 banks in Indonesia) and Cash. * Thanks to a fast payment settlement system, ATM payments are verified in just a few minutes. We do this because we know nobody likes to wait. * All transaction data are protected by a high-grade encryption system. 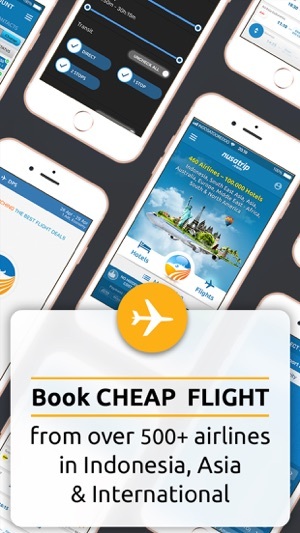 * It just takes a few steps to book a flight or a hotel at the best price.